Stanhay revolutionised the precision planting market when it first developed the air metering unit in the Singulaire 785. Unique in its ability to sow both natural and coated seeds in 1 to 4 lines from each unit while accurately singulating and spacing seeds. With thousands of units sold and over 20 years of proven field performance around the world it continues to provide growers with the most accurate and reliable precision planting performance available. The metering unit operation relies on a clever airflow system that applies a vacuum behind a thin metal seed disc (A) which flexes to form a perfect seal. As seeds fall from the hopper (B) and past the agitating fingers (C) they get sucked against the holes in the disc. As the disk rotates an adjustable singulator arm (D) ensures only a single seed covers a single hole in the disc. This action is gentle and extremely effective at selecting individual seeds. Once one unit is set, thanks to an easy repeatable setup procedure the settings from this unit can be copied to all others on the drill to produce the same performance. Maintenance of these units is a simple task that requires little specialist knowledge or tools enabling the metering unit to perform like new for many years. By selecting the correct coulter and seed disc you can plant natural or coated seeds in 1 to 4 lines. 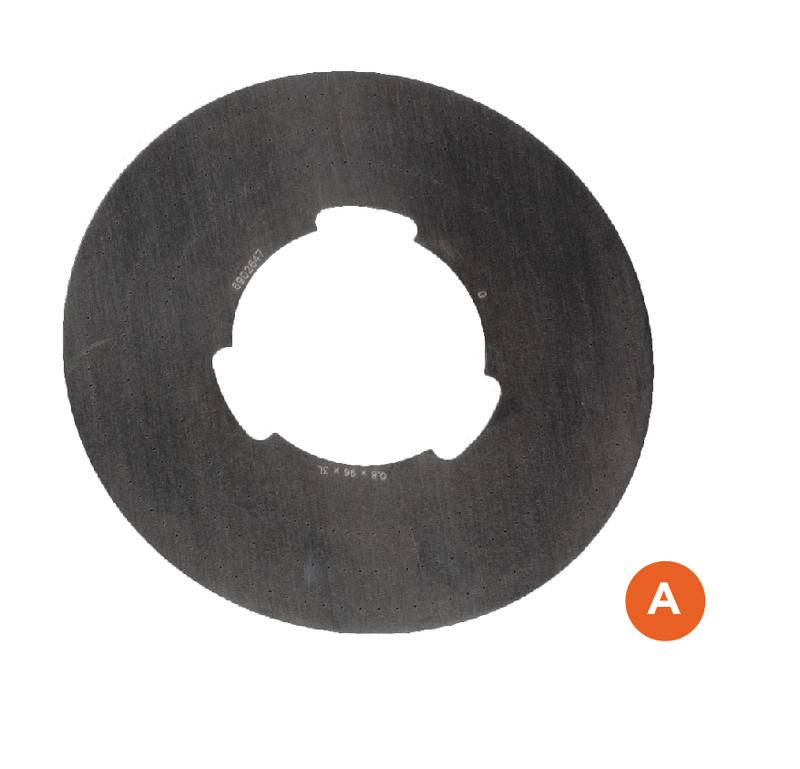 One seed disc usually handles all the grades of any seed type, saving you time and expense. 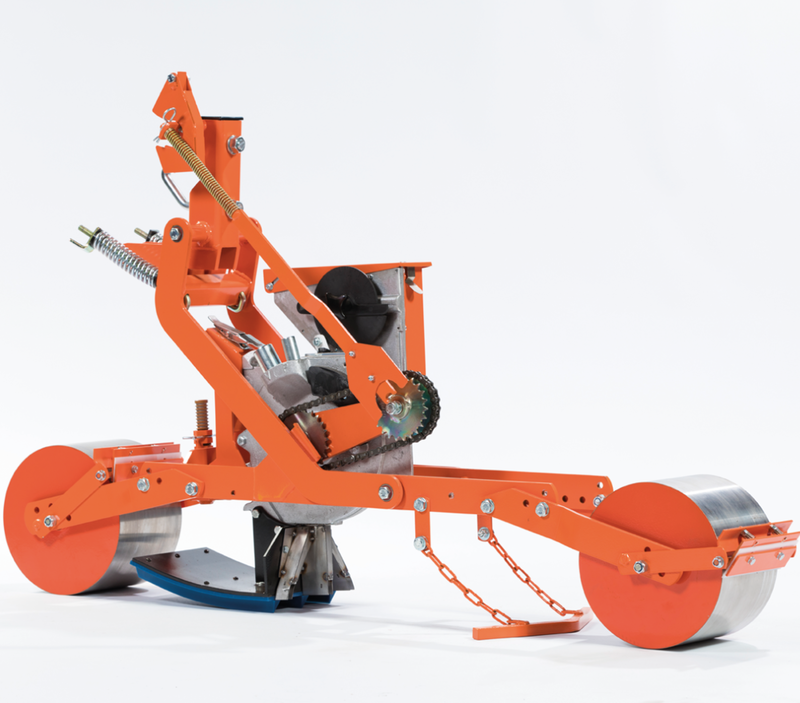 The metering unit can be fitted into a variety of different chassis to suit ground conditions, machine size and row unit spacings.